Stepping down following six years at the QCGN – the past two as president – I want to extend heartfelt gratitude for the unfailing support provided by our faithful members, assiduous board and steadfast staff. We have accomplished so much together. Our hard work and tenacity have been recognized and rewarded with multiple inroads at the federal and provincial levels. A fresh Federal Action Plan on Official Languages will deliver an additional $499.2 million over the next five years. In addition, efforts that took root under my predecessor, Dan Lamoureux, came to fruition with the establishment of a provincial Secretariat for Relations with English-speaking Quebecers. This promises our community much-needed traction within the Quebec government. capacity in key sectors that have hobbled the vitality of English-speaking Quebec. The QCGN also continues to work with our Francophone minority community partners such as the Fédération des communautés francophones et acadiennes (FCFA) to protect and advance the linguistic rights of all Canadians. Our membership has always served as a leading force to advance the presence and participation of our community, within Quebec and Canada. I am pleased to welcome five new members: Family Resource Centre, Gaspesian British Heritage Village, DESTA Black Youth Network, the Blue Metropolis Foundation and Phelps Helps. Our growing group – now 56 members strong – forms the foundation for our legitimacy, credibility and political clout within and especially beyond our community. I hand over the presidency to Geoffrey Chambers with great confidence that our QCGN family will maintain the consistency and continuity that has empowered these accomplishments. Our recent momentum promises continued growth and attainment. Just like at the Olympics: Faster! Higher! Stronger! Strengthening our networking culture of working together is yielding ever more measurable results. Tangible progress in our relations with both the Governments of Canada and Quebec made this a historic year for the Quebec Community Groups Network and the English-speaking community. We started on the right foot. As we conducted our 22nd Annual General Meeting in June, the Premier announced Quebec’s first-ever provincial government office designated to give formal voice to our community. This realization of a long-term strategic goal harked back to our 17th AGM in 2013, when Members unanimously underscored longstanding demands for such a mechanism. This new openness, a new Minister and a new Secretariat for Relations with English-speaking Quebecers augur well for our community. Our matchmaking efforts between Quebec, which is beginning to respond to our needs as a minority, and Ottawa, which devotes millions in funding to solidify minority language communities, have nurtured a closer alliance between the two levels of government. This is already proving beneficial. For the first time ever, our provincial government responded favorably to a customary query from Canadian Heritage on the state of the francophone minority in Canada and the English-speaking minority in Quebec. Our Intergovernmental Affairs minister expressed clear concerns about the vitality of our English-speaking communities, citing shrinking demographic weight, aging populations and isolation. QCGN continues to champion our new generation of leaders, through our Young Quebecers Leading the Way Award and our involvement in the inaugural Bishop’s Forum. During the latter, dozens of our most promising youth engaged directly with political, community and business leaders who have helped shape this province and established connections that will last a lifetime. We continue this year to focus on increasing community development capacity, to ensure English-speaking Quebec fully seizes new opportunities. We will continue to work with Member organizations as well as federal and provincial governments and other stakeholders to strengthen the institutional, political and community infrastructures that strengthen the vitality of our Community of Communities. 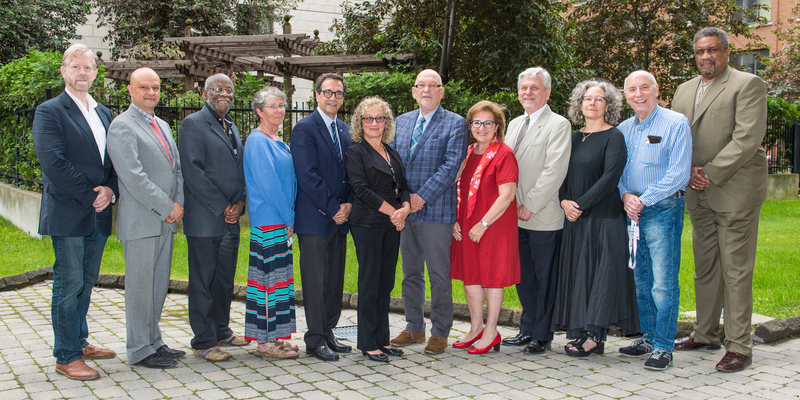 From left to right: Geoffrey Chambers, Juan-Carlos Quintana, Dr. Clarence Bayne, Stella Briand-Kennedy, Eric Maldoff, Mary-Ellen Beaulieu, James Shea, Eva Ludvig, Walter Duszara, Elise Moser, Joe Rabinovitch and Linton Garner. Missing from photo: Gerald Cutting and Christopher Neal. In our relationship with the federal government, this was a unique and record-breaking year. Following years of diligent work, English-speaking Quebec is finally benefiting from unprecedented attention and inclusion in Ottawa. Political and policy leaders more fully understand – and thus can be persuaded to further address – the unique challenges and concerns that face English-speaking Quebec. Energetic and wide participation by QCGN and our Members in the Cross-Canada Official Languages Consultations ensured that the interests and priorities we brought forward were fully reflected in the new Action Plan for Official Languages – 2018-2023: Investing in Our Future. This boosts funding by $499.2 million over five years and includes a new $5.28 million fund from Canadian Heritage to support Quebec’s English-speaking communities. As a community, we must make the most of these new resources. We continue to build relationships on Parliament Hill. In the fall session, we hosted a first successful evening between Network and community leaders and Parliamentarians. We continue to work closely with the House and Senate Committees on Official Languages, seizing opportunities to spotlight our perspectives. Among other benefits, this led to our participation in key studies including the enumeration of rights-holders under Section 23 of the Canadian Charter of Rights and Freedoms. We were also consulted in the planning of a major Senate study on the Modernization of the Official Languages Act. It was also a notable year for interacting with federal government partners. We connected with more than 30 departments and agencies, establishing productive links to provide QCGN Members and community stakeholders with access to additional support in areas of community concern. After we built on small grants to document a range of failings that hinder Access to Justice in English in Quebec, for instance, Justice Canada came through with a generous grant to conduct a community forum on this fundamental issue. Meanwhile, thanks to our ongoing work with Employment and Social Development Canada, QCGN began allocating $1 million in funding from the Community Innovation Fund (CIF) to 10 innovative projects that are addressing the needs of vulnerable English-speaking youth, seniors and newcomers. Funded under Canada’s Social Development Partnerships Program – Children and Families Component, CIF is supporting community initiatives that are building sustainable partnerships that increase resources for English-speaking Quebecers.  Five years ago, QCGN members unanimously demanded a formal place to give voice to the interests of the English-speaking community within the Government of Quebec. We attained that goal this year with the Premier’s appointment of Kathleen Weil as the first Minister Responsible for Relations with English-Speaking Quebecers. A Secretariat was also created to support the Minister. QCGN is encouraged that Quebec has caught up with the rest of Canada, where other provinces have long had ministers and/or mechanisms to support their linguistic-minority communities. Quebec’s ground-breaking step forward now ensures that the concerns of English-speaking Quebecers will at least be articulated, and we hope acted upon, throughout the machinery of government where policies and programs with direct impact on our community are drafted. Keen participation by QCGN and its Members throughout an intensive round of regional and sectoral consultations by Minister Weil is helping to shape the Government of Quebec’s Action Plan to support English-speaking Quebec. We delivered the message that our community requires concrete policies, programs and investments in key sectors and regions to make certain that English-speaking Quebecers have the wherewithal to be full-fledged participants in all dimensions of the day-to-day life of our province. We underscored, again, that for generations members of our community have been practically shut out of the key decision-making ranks of the Quebec public service. We hope the Secretariat will finally create real opportunities for our community to achieve meaningful participation in Quebec’s civil service. In one important way, Quebec acted remarkably quickly following formation of the Secretariat: Our first-ever pre-budget consultation led to the allocation of $24.5 million in the 2018-2019 budget, earmarked over six years, to support the Secretariat so it can be more effective in ensuring that services to which our community is entitled are delivered. Also, following the radical restructuring of our provincial health and social services network in 2015, we finally have a regulation that fortifies the provincial committee which ensures English-speaking Quebecers maintain access to health and social services in our own language. The regulation guarantees our community’s meaningful involvement in the creation of mandatory provincial and regional committees and the approval of access plans for the provision of services in English. Success leads to substantially greater visibility. The QCGN’s more prominent profile, coupled with hard work, has nourished growing acknowledgment, recognition and success. Last year proved our busiest ever, with more intense media coverage and higher overall visibility for our Network and community. We engaged the more widespread attention we need for critical issues affecting English-speaking Quebecers. This was a record year for interviews; a wider range of media outlets sought out our views on developments including the creation of a provincial Secretariat for Relations with English-speaking Quebecers. Our website attracted a greater flow of traffic while on Twitter and Facebook our volume of followers and level of engagement also increased. The QCGN’s sharpened presence on the radar screens of political leaders has in turn boosted our organization’s influence and credibility within the community and across political circles. All these factors have helped bolster the creation of policies and programs to enhance the vitality of our Community of Communities. 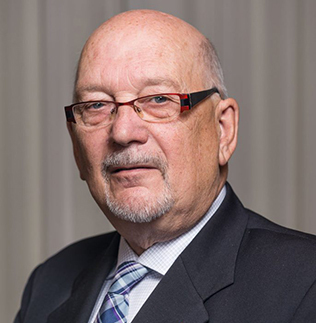 A single word – perseverance — summarizes five exceptional individuals honoured this year by the Quebec Community Groups Network. Across far different fields of activity, the paths taken by Clifford Lincoln, Sid Stevens, Earl De La Perralle and James Carter have each led to an enduring impact on our Community of Communities. Our ninth annual Sheila and Victor Goldbloom Distinguished Community Service Award both acknowledges and symbolizes their special strength of spirit. While Clifford Lincoln has served as a beacon for rights, he has also proven a principled and passionate bridge-builder, not just across the political sphere. He has been instrumental at finding balance and achieving harmony amid the most challenging of circumstances. Sid Stevens and Earl De La Perralle have built and led Sun Youth Organization in Montreal for an astonishing 64 years. They embody the most inspirational elements of volunteerism and sharing through an extraordinary array of community services including street-level sports and a food bank. James Carter has quietly and tirelessly mentored English- speaking communities across Quebec. The roots and leadership he has nurtured and strategically harnessed promise strength and community sustenance for our generations to come. 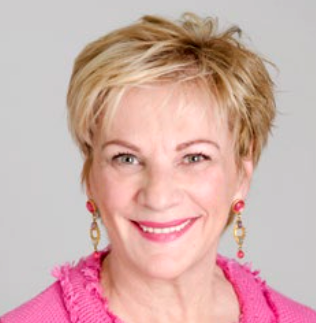 Meanwhile, we were deeply saddened by the loss of an influential and beloved member of our Goldbloom Award family as Gretta Chambers passed away September 9, following a lifetime of remarkable achievement. Among our younger generation, Claudia Di Iorio stands out, meriting the third annual Young Quebecers Leading the Way Award. Claudia has exemplified resilience and courage, turning a devastating injury caused by an impaired driver into a remarkable campaign of advocacy and inspiration for safe driving. She is giving back, in some cases, the gift of life itself.